These days, it's no big deal to see someone walking down the street in full gothic regalia or to see a punk rocker with a mohawk at the store. Despite the fact that modern fashion trends borrow from subcultures like theirs all the time, it's not uncommon for people to heckle those who choose to live a lifestyle with such a unique look. We have some bad news for those people though- more and more frequently, the fashion designers who dress the celebrities and set fashion trends are borrowing the aesthetic of the goths, punks, and rockers out there. In this post, we profile 7 of our favorite designers that are bringing subcultures into the spotlight. Frederick Lee is one of the many rising stars coming from Asia, a relatively new entrant in the world of haute couture. His designs are sought after by celbrities, especially his gowns. He has a decidedly gothic influence to his designs, and has taken home several awards for his impressive work. He's dressed celebrities such as Sabrina Van Cleef Ault and Zoe Tay. Ralph & Russo is a British design house whose works have an interesting and unique style that incorporates global influences with retro shapes and futuristic styles. Of particular note are their impressive tea dresses that, at first glance, look like the full-skirted dresses of the 1950's- but on a second look, the forms and silhouettes have a decidedly sci-fi twist. Look for their designs on celebs like Beyonce and Angelina Jolie. 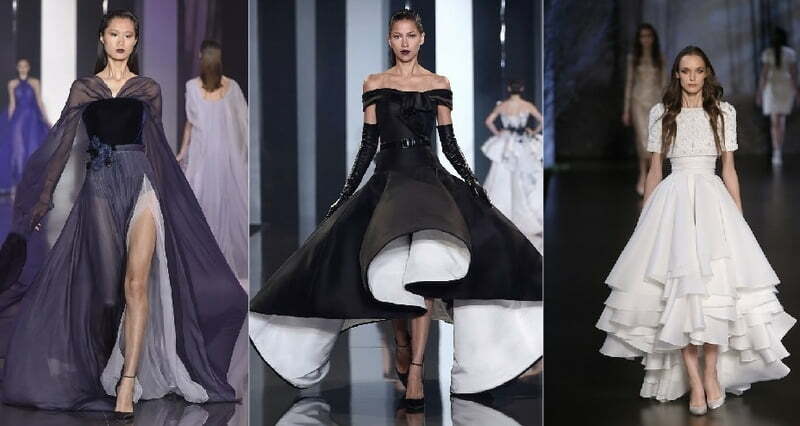 Stephane Rolland was the head designer at Balenciaga by the age of 20, and has since carved himself out quite the following in the French film scene. He's even done work as a costume designer for 'Amadeus', among other things, and was nominated for a Molier award in both 2006 and 2007. Find stars like Rita Ora and Lady Gaga wearing his imaginative gothic gowns. A regular on the catwalk at international fashion weeks including London, Dubai, Los Angeles and Miami, Furne One, designer behind the brand Amato Couture, is one of the most desirable rising talents in the fashion world. This is further demonstrated by the long list of celebrities who include Amato Couture as one of their red carpet favourites- including Heidi Klum, Jennifer Lopez, Katy Perry, and Shakira. Fashion from this house is dramatic and romantic, with a decidedly gothic style. In the vein of over-the-top designer Alexander McQueen, Gareth Pugh's styles are beautifully stylized and unusual, with a design aesthetic that trends towards the angular and often includes inflatable pieces. Pugh is unafraid of any style that takes his fancy, no matter how outlandish or unusual. His work is often decidedly sculptural, giving the wearer the look of a gothic statue perched in the vestibule of an old church. Look for his dark designs on celebs like Kylie Minogue, Beyonce, and Lady Gaga. Another Asian design house, Somartaspecializes in skintight bodysuits work by the likes of Lady Gaga, who wears the designer in videos and live shows as well as in her personal life. The designer has a very interesting design eye, with a lot of influence drawn from punk clothing and rock fashion. 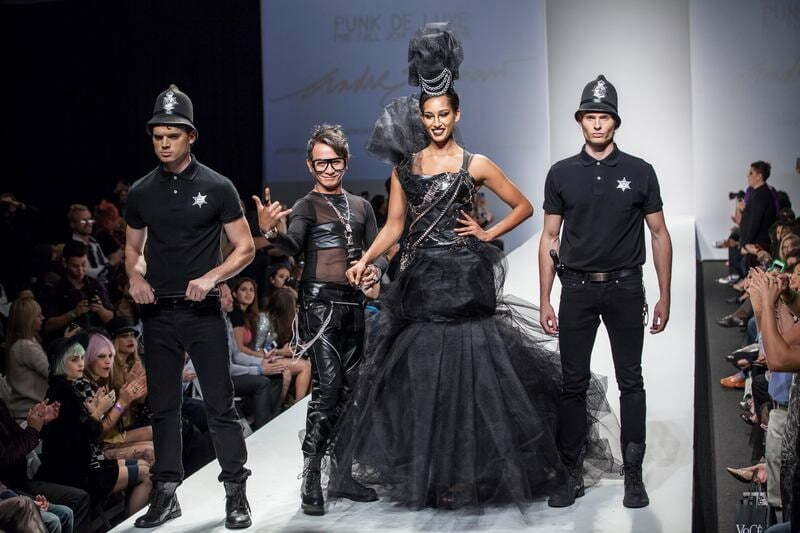 A designer with a definite sense of art and music in fashion, Andre Soriano was a contestant on Style network's show 'Styled to Rock' where his clothing was exposed to the public at large. HIs signature looks include a lot of black leather and metal, showing the influence of punk rock, old school goth, and rocker fashion in his designs. Look for his styles on Aisha Tyler and Amber Rose. The blurred lines between what is a subculture and what is fashion are constantly moving and changing. However, as this list shows, ther is no such thing as 'wrong' when it comes to the world of fashion. Be yourself, first and foremost, and you'll certainly rock whatever it is you choose to wear! If you're interested in high fashion clothing that draws influence from the goth, punk, and rock scenes, check out our special collection here. Help! My Parents Don't Approve Of My Subculture!